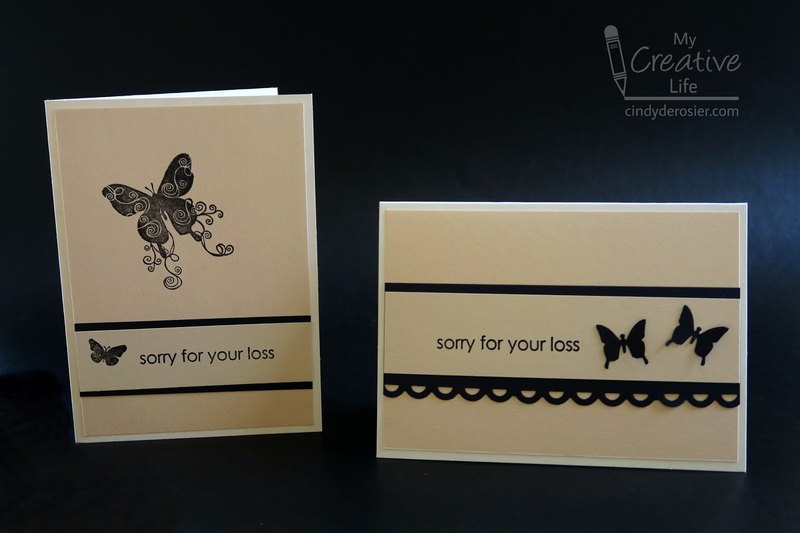 I've had to make quite a few sympathy cards recently. They're always a struggle for me, as I'm sure they are for most people. 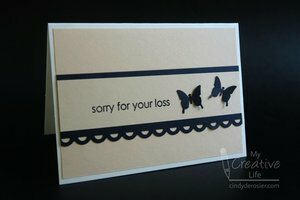 I almost always put butterflies on sympathy cards, as you can see here and here. For my first card, I used cream and black, a few punches, and a simple sentiment. I like it. I ended up repeating that design to make an identical card, then used a butterfly stamp set to create the vertical card. I hope those are the last sympathy cards I'll need to make for a long, long time. Sympathy cards are hard to do. Yours turned out really classy and timeless. These are beautiful and I know that the receivers will appreciate them!